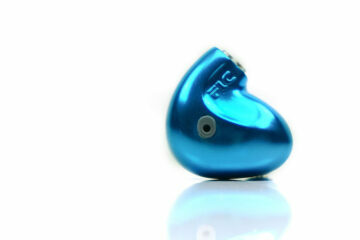 The C6IEM from Cypher Labs definitely wears its heart on its sleeve. Dave and the team could easily have picked a vanilla type sound signature that would probably hear little from in terms of pluses and negatives and a sense of Meh. Instead they decided to go with a dark but clear tonality with an emphasis on bass and the mids in keeping with a target audience that will want long term listening value without fatigue. It is a relatively consumer type profile but good audiophile sensibilities particularly in the mids and vocal presence. Treble might be a weak spot, even cable rolling didn’t dramatically lift it to sparkling heaven but cables do make a difference and EQ can make a difference also if you are into that sort of thing. Once thing for certain though, the age of triple BA bass light presentations is long gone, the C6IEM can really deliver in that respect. Watch out though with cables and tips rolling. The price is already at $599 which places it solidly in the upper mid-tier and higher than the UE900 and the Westone W4/W30/40 so with a bit of rolling your price might easily go into custom monitor territory with tempting models from 1964EARS and AAW only $300 higher or the price of a Twag V2 cable. This is an expensive business so do take the time to think about your source, what cables you already have and if possible give them a little demo to see if it suits your tastes. If you like it darkish with plenty of rumble, decent speed and great mids and vocals and in for long listening sessions then it might just be up your alley. 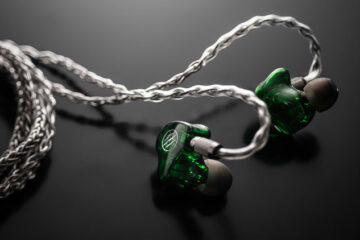 If you like sparkling highs, pristine clean notes and a lean signature with light bass then C6IEM is not for you.